A fantastic pair of vintage Italian copper & brass sconces. 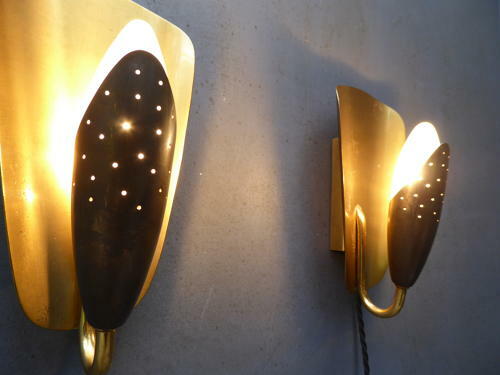 A beautiful & unusual pair of sconces featuring concave gilt brass reflectors & pierced copper bulb surrounds. Handsome lights of fantastic form which would make amazing bedsides. Rewired in twisted black flex with inline switches. Wear commensurate with age, good condition overall showing the usual signs of age.